For eons, we women have used Vaseline as a go-to lip balm when there’s nothing available to soothe our chapped lips. Our mothers did that too, and so did our grandmothers! But there’s a lot more to Vaseline than just being a healer for dry lips. The little tub of petroleum jelly in your bathroom cabinet holds mighty power within it! A power so strong that it can actually replace all those expensive beauty products on your dressing table! Let’s start off with the obvious one. Apart from being a handy lip balm, Vaseline is also a great lip scrub. 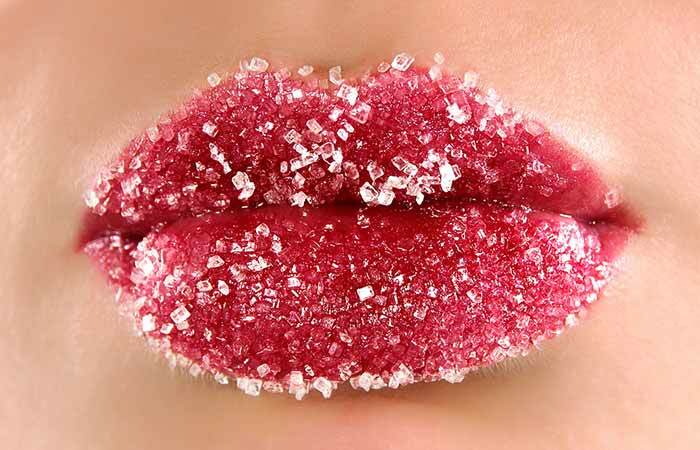 Mix some sugar granules with Vaseline and apply it on your lips to remove all the dead skin cells. Wash off and you’ll see your lips feel as soft and smooth as a baby’s bottom! Cracked heels not only force you to wear closed shoes but they also hurt! To heal your cracked heels, apply a generous amount of Vaseline on them before going to bed. Wear cotton socks after application and snooze the night away. Do this regularly to have smooth heels! 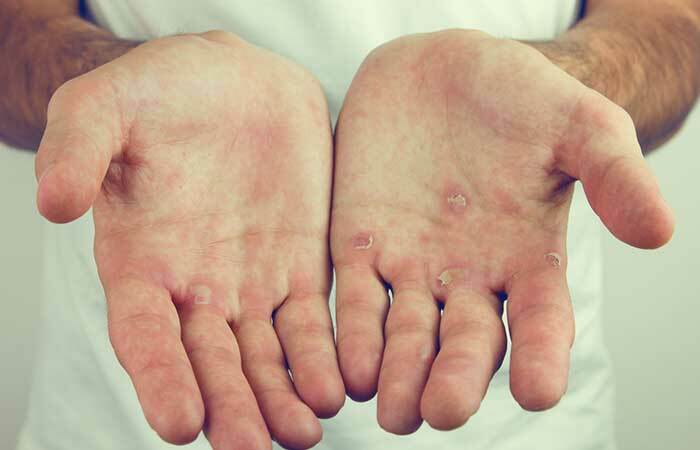 Weather changes can dry out your hands, especially the cuticles! The easiest way to moisturize your cuticles is to rub some Vaseline on them before you hit the bed for the night. Your skin will absorb the Vaseline to give you healthy cuticles. Certain areas of your body are prone to chafing. Those areas that experience a lot of friction each day (like your inner thighs). Needless to say, chafing can be both uncomfortable and painful! To prevent this from happening, apply a bit of Vaseline on chafing prone areas every day. Now, this is something we know will surprise you as highlighters can get very expensive! And who doesn’t want to save a ton of money? To get glowing skin, apply a small amount of Vaseline all over your face before doing your makeup. That’s it! Almost everyone’s elbows are generally rough and cracked. If that’s the case with you too, you should use Vaseline to soften your elbows. Simply applying it to the affected area regularly is more than enough. Some earrings can get quite difficult to insert in that tiny hole on your earlobe. 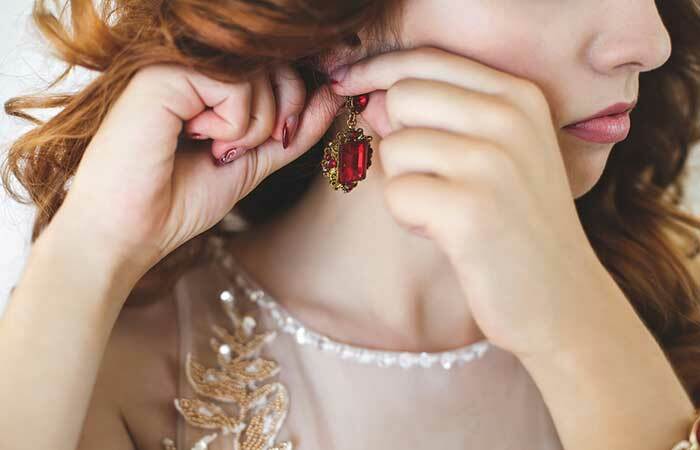 You can ease up the process of earring insertion by rubbing a bit of petroleum jelly on your earlobes. Now when you try wearing your earrings, they’ll glide through without any fuss! 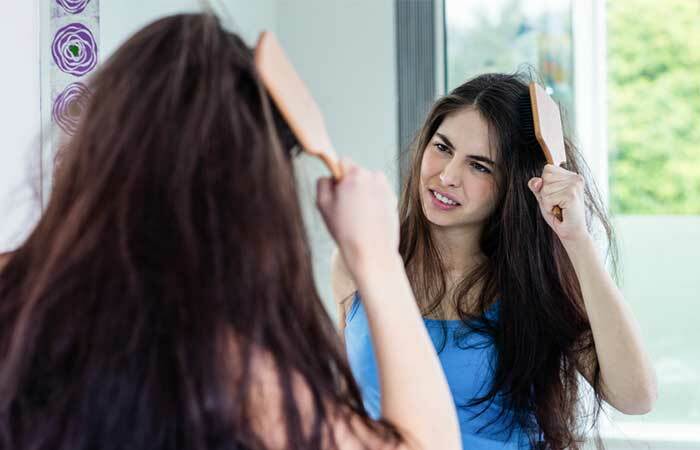 Frizzy hair is the most problematic side effect of humid weather! Fortunately, Vaseline can help you tame your frizzy locks when shampooing is just not an option. The application of a very tiny amount of Vaseline on your strands can make your hair sleek and smooth. Just be careful not to go overboard with it or you might end up with frizzy hair instead of taming the frizz. 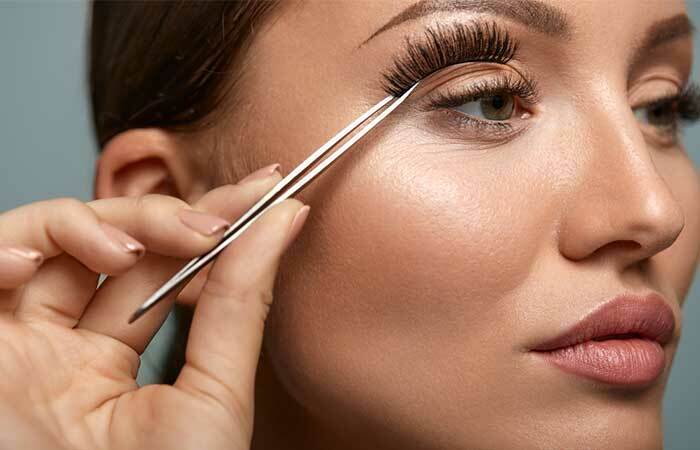 If you like to slap on a pair of false eyelashes with the rest of your makeup, you already know that removing them can be a pain. 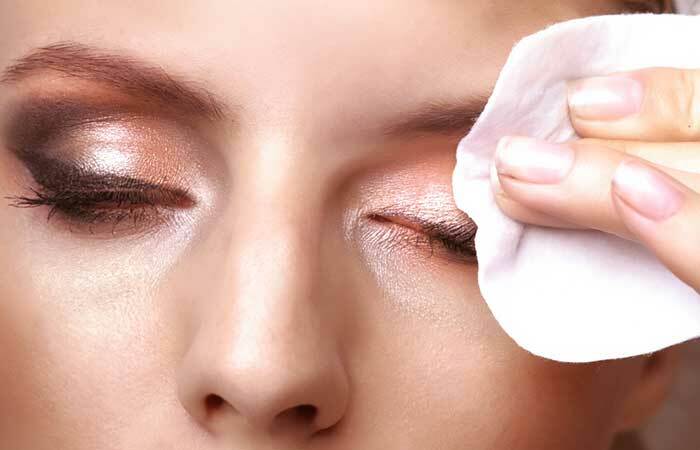 A quick, safe, and easy way to remove false eyelashes is by rubbing some Vaseline on them. This will help to loosen them up. Got thick eyebrows that refuse to stay in place? 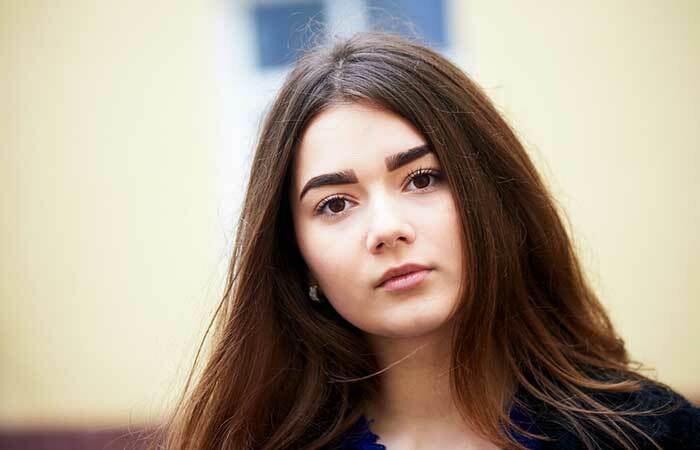 You can tame the wild eyebrow hair with the help of Vaseline. Rub a little petroleum jelly on your brows in the direction of the hair growth and then comb them in place. Your eyebrow hair won’t budge for the rest of the evening! The problem with perfume bottles is not just that they’re expensive. It’s that they don’t last very long! Vaseline can help you increase your perfume’s long-lasting effect. Before you spritz on your favorite perfume on yourself, apply a bit of Vaseline on the areas where you intend to spray the perfume (such as your underarms and neck). Now put on your perfume. We guarantee you, the aroma will last all day long! Even makeup removers contain chemicals. So they’re not the ideal solution when it comes to protecting your skin from harsh chemicals. Fret not, as Vaseline is made up of only skin-friendly petroleum jelly and can hence, serve as a great alternative to your regular makeup remover! Dip a cotton ball into a tub of Vaseline and wipe the ball on your face to remove all traces of makeup. Make sure to wash your face thoroughly after that. Vaseline’s multiple uses can help you save a lot on your monthly expenditure! As long as you have a tub of it in your home, you can say goodbye to the common beauty problems.